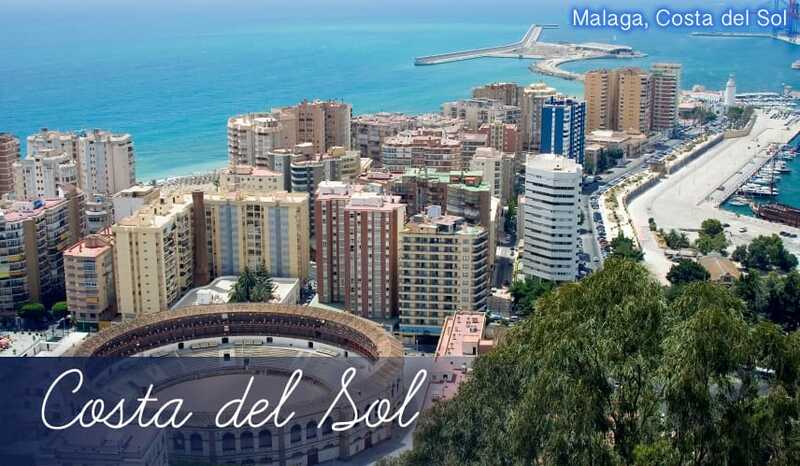 Major city: Malaga is one of the biggest cities you’ll see on holidays to the Costa del Sol, and it’s also the largest southernmost city in Europe. What that means for your holidays is that you’ll discover plenty to do in Malaga’s built up areas, plus cultural attractions on almost every corner. Holidays to Malaga 2019 are enriched with history dating way back from before the Romans. Many places of interest: Being such a big city, there’s something for everyone on holidays to Malaga. Whether you’d like to absorb the culture in art galleries, museums and historical sites or have a relaxing game of golf on the many courses in Malaga, it’s entirely up to you. Great beaches: You may think of Malaga holidays as being dominated by high-rise buildings and historical sites, but there’s actually a great selection of beaches here too. 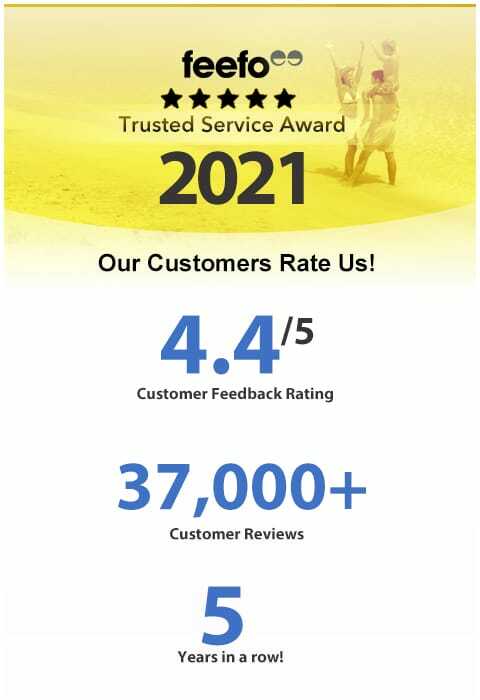 The main beach is a sandy golden stretch which has been awarded blue flag status for its cleanliness. Alcazaba: Malaga was an important part of the Muslim empire which extended across Spain in Medieval times, and Alcazaba is a lasting monument to this period. A huge cobbled wall fortress and castle, the Alcazaba has an elegant design for what is essentially a military defensive building. There are beautiful gardens within the courtyards too but the real attraction is the stunning view from the top. As the fort was built on a high hill you can look out across the entire landscape and take in amazing vistas of the whole city. It’s easy to see why the Alcazba is a principal attraction for holidays to Malaga. Malaga Cathedral: Affectionately named ‘La Manquita’ (The One-Armed Woman) by the Spanish locals due to its lopsided appearance, this majestic baroque cathedral should be one of the major attractions in Malaga to see on your holidays here. The elaborate design of the facade is continued inside with colourful stained glass windows and a decorative altar. Roman Theatre: This 2,000 seat Roman Theatre dates back to the 1st century AD. Located right next to the Alcazaba, the Moors actually used some of the stone from this theatre to build the fortress. As you can imagine, that makes restoration of this now ruined site rather tricky, but you’re still entirely free to sit and admire the historical significance of this theatre at any time during your holidays to Malaga. Museo Picasso: The famous cubist artist Pablo Picasso was born in Malaga, and there are a number of museums and galleries dedicated to him in the city. The Museo Picasso is the largest of these and features works from his sketchbook, large paintings and lots of information about his life. After your visit, it’s worth walking across the road to the Picasso Foundation which is actually the home and studio in which Picasso used to live and work. There are also a few of his more unknown pieces on display here, as well as memorabilia from his family history. Both museums are a must-visit if you’re interested in art and are spending your holidays in Malaga. Museum of Glass and Crystal: This museum may not sound very interesting, but it actually houses some very unique and beautiful exhibits. There are glittering crystal figures and stained glass windows bathed in vibrant colours, with each piece having information on its history and how it was made. Santana Golf: This 18-hole championship level golf course has a good degree of challenge as many of the holes have sloping greens and fairways. There are amazing views of nearby mountains too, and the Campillos stream running through the golf course adds extra drama to some of the holes. Playa de la Malagueta: A golden beach created using the sun-baked sands of the African Sahara. At 1.2km long and over 40m wide, it’s a lovely spot to stretch out and take in the sights and pleasant sea breeze. Close to the harbour, this beach is one of the most popular for Malaga holidays and features a variety of water sports and beachfront restaurants. Playa Las Acacias: A collection of gently curving beaches and coves, spanning across 1km of coastline. The rocky headlands help calm the waters around the beach, making it ideal for water sports. As such, the area is pretty popular with young people and the promenade can get rather lively during the summer holidays. Playa el Palo: Near to the El Cando Marina, this cluster of coves is much more peaceful than Playa Las Acacias. That said, it can still get quite busy in the summer holidays, so be sure to get there early and pick your favourite stretch of coast. Luckily there’s over 1.8km of it to choose from! Tapeo de Cervantes: A very highly regarded Spanish restaurant which puts a creative twist on authentic tapas dishes. Try the fried squid with spinach, sausage with quail eggs or cheese wrapped with Iberico ham. And if all that sounds too fancy, their menu actually includes more traditional tapas such as paella or tortilla, plus full meals such as Argentinean fillet steak. Il Laboratorio: There’s a huge number of tapas restaurants in Malaga so this authentic Italian eatery makes a refreshing difference during holidays here. Go for the mushroom risotto or gorgonzola tagliatelle for a true taste of Italy. The modern decor adds to the experience too. Canadu: A very unique restaurant for holidays in Spain, in the sense that the cuisine is principally vegetarian. Many of the dishes are naturally healthy, with things like Gazpacho (Spanish cold tomato soup), and Potato & Lentil stew being heart warming, nutritious meals. The set menu options are also extremely cheap. A choice of bars and clubs: The nightlife on Malaga holidays centres on a few well-known spots where you’re bound to have a great time. There’s Plaza Uncibay near to the cathedral, which has lots of authentically Spanish bars. Then you’ve got La Malagueta, near to the beach, which has a stylish vibe and draws a younger crowd on their holidays who like to party into the early hours. El Palo is also a lively promenade for late-night revellers. Recommended nightspots in Malaga include Anden, Dolce Vita and Sound, as well as the bars Weekend, El Jardin and Sala Wenge. Shopping selections: There’s a large branch of Spain’s famous department store El Corte Ingles here, and it’s possible to find all sorts of different items inside from clothing to authentic Spanish food. Holidays to Malaga also offer a good choice for more upmarket shopping too, with the street of Marques de Larios in particular being lined with the sleek, glossy boutiques of famous designer labels. Foodie Haven: Interestingly, Malaga holidays are some of the best in Spain for food shopping. The delicatessens here are very enticing and offer a delicious range of fresh olives, flavoured hams, and soft cheeses. Sweet, syrupy Malaga Wine, rich olive oil and toasted almonds are other local delicacies well worth trying or bringing back home with you from your holidays in Malaga.